Be among the first to tour the NEW Collaborative Governance Toolkit! After 5 years of testing on dozens of different organizations and networks, we’ve assembled a collection of the most essential tools we’ve found so far for transforming culture. 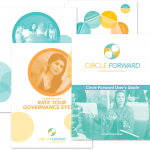 We are super excited about this breakthrough offering that makes the tools, resources and processes for collaborative governance more accessible than ever! Deepening the Art of Facilitating Consent is a peer-to-peer online learning meet-up. It’s FREE and for people who engage in facilitation, want a safe space to talk about the challenges, share insights, and explore their growing edges when facilitating groups whose basis for governance decisions is consent.